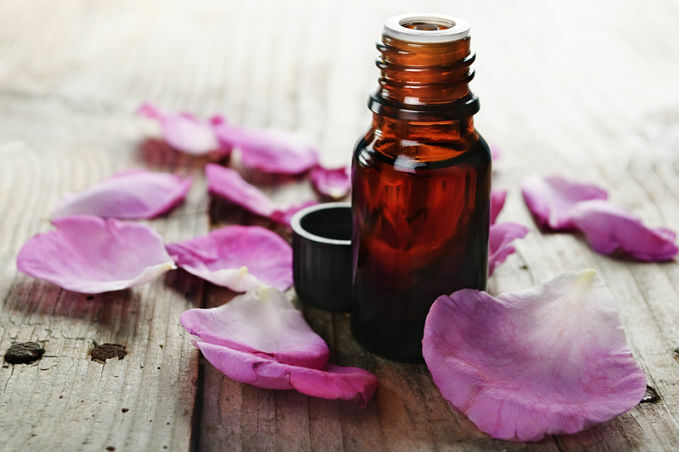 Essential oils are useful for making body care products and soothing the senses. Regardless of what manufacturers promise, the contents of store-bought oils should always be questioned. Users of oils are putting these products on their skin and in their lungs, so any possibility of harmful chemicals should be avoided. Choosing to make your own essential oils from home eliminates the possibility of harmful additives or even fake essential oils. Along with reducing health risks, making oils at home allows for customization of oils and drops the price of the oil significantly. 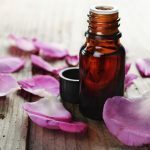 With just a few easy to acquire tools and some time, creating essential oils is significantly easier than you may think. There are actually very few tools necessary for making essential oils. The first thing needed is fresh ingredients or plants of choice. All ingredients chosen should equal about four to five cups to make about a half ounce of oil. This 5 cup to 0.5 oz ratio can be adjusted depending on how much oil is desired, but make sure you’ll have some extra room in your crock pot. A crock pot and lid is the next tool needed to make essential oils. Any size crock pot will do, but take into account the amount of oil you’ll be making. If you want to follow the recipe precisely for 0.5 oz of oil, a two-quart crock pot should suffice. Some extra room is needed at the top for steam. Distilled water or other purified water is very important for this recipe. It will provide the freshest oil compared to tap or well water. One and a half quarts should suffice. This just needs to cover the ingredients in the pot. Lastly, a small spoon or tool to gather the oil and a bottle or jar to contain the oil is necessary. The container should preferably be colored glass and it should absolutely have a lid or cap of some kind. Firstly, add all ingredients to the crock pot and cover with water. Ensure the crockpot has at least a couple of inches of room at the top for steam. Put the lid on upside down (a plate works better if it can still keep the steam in) and turn the crock pot on high to bring the water near boil. Shortly reduce the temperature to low and let simmer for four hours. After four hours on low, unplug the pot and let cool for 30 minutes. Place the pot (with the lid still on) in the refrigerator overnight. 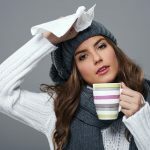 Remove the pot from the refrigerator, remove the lid, and quickly spoon the thin film of oil into the preferred container. This is the essential oil. If there is too much water in the mixture, it can be heated to turn the water to steam and leave only the oil. Don’t forget to label the bottle and store it away from sunlight. Knowing how to make essential oils at home can save you a lot of money and it’s not a difficult task. The price of essential oils right now is astronomical due to their popularity. Creating at home also provides customizability to the outcome of the oil. Merging different ingredients in different ratios such as various berries and spices will create concoctions impossible to find anywhere else. While oils created at home may not be as strong as those bought in stores, they are absolutely guaranteed to be pure and will be as safe to use as the ingredient itself. By creating your oils at home, you can ensure the oil is pure and tailored to fit your needs.